The Chancellor of WOU, Tun Mohamed Dzaiddin Abdullah, conferred Honorary Degrees on four distinguished individuals at WOU's 9th Convocation Ceremony. The Chancellor of WOU, Tun Mohamed Dzaiddin Abdullah conferred Honorary Doctor of Letters degree on Dr Jomo Kwame Sundaram at its 8th Convocation Ceremony. The Chancellor of WOU, Tun Mohamed Dzaiddin Abdullah, conferred Honorary Degrees on two prominent women leaders at WOU's 7th Convocation Ceremony. 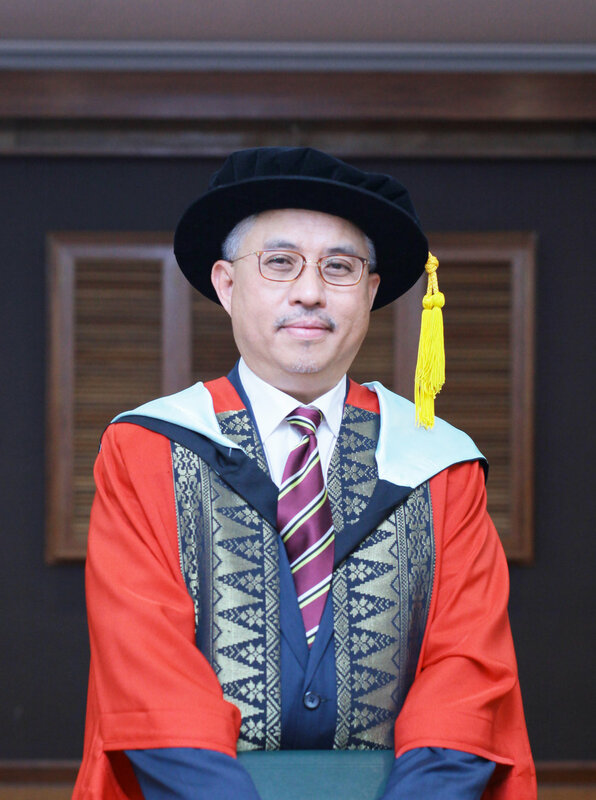 Click here to view the "acceptance speech video"
During the 6th Convocation Ceremony, WOU Chancellor Tun Mohamed Dzaiddin Abdullah conferred Honorary Doctor of Letters degree on Dato' Seri Dr T Devaraj. The Chancellor of WOU, Tun Mohamed Dzaiddin Abdullah, conferred Honorary Degrees on two distinguished individuals at WOU’s 4th Convocation Ceremony. During the 3rd Convocation Ceremony, WOU Chancellor Tun Dato' Seri Dr Lim Keng Yeak conferred Honorary Doctor of Letters degree on Dato' Seri Chet Singh. In a Special Convocation Ceremony, Chancellor of WOU, Tun Dr Lim Keng Yaik conferred Honorary Degrees on three remarkable individuals. WOU’s Inaugural Convocation Ceremony witnessed the conferment of two Honorary Graduands by the Chancellor of WOU, Tun Dr Lim Chong Eu. WOU's first Chancellor, Tun Dr Lim Chong Eu conferred Honorary Degrees on two distinguished recipients.